I’ve never been one of those people who circle College Football’s National Signing Day on his calendar every year. In fact, when people ask me my thoughts on high school recruits that doesn’t involve quarterback play I usually refer them here. But something important happened this last signing day that isn’t getting the proper attention (or reaction) it deserves. Do you know who Roquan Smith is? You should, because he just shifted the balance of power in college football recruiting in an extremely important way. Traditionally, high school athletes are recruited by college coaches whose job it is to win football games for a University paying them millions of dollars to do so. Then on the first Wednesday in February they sit down in their high school gym or library surrounded by friends and family to choose a school and sign their “Letter of Intent” (LOI) to play for University. The signing of that letter of intent is preceded by months of recruiter/coach relationship building, talk about loyalty and systems, and preaching of a culture to the young athlete to get them on board. Key words: Loyalty. Culture. System. 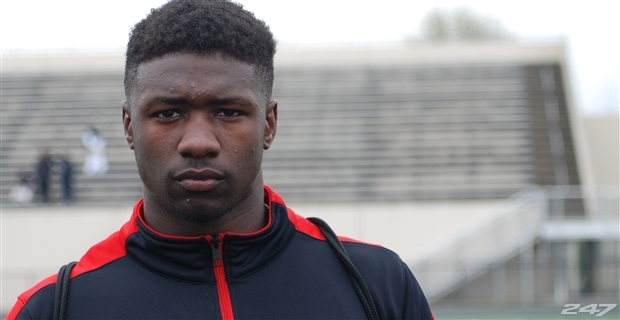 Roquan Smith, a four-star linebacker from Georgia, is testing what those coaches are preaching. Last week he sat in front of the entire nation and announced he was going to play football for the UCLA Bruins this coming Fall. He did so with the understanding that the coach (lead recruiter) behind his interest in the school, Jeff Ulbrich, was going to be there to help him hone his craft. Yet after Smith’s committment the whispers of Ulbrich departing UCLA for another position elsewhere became louder; which kept Smith from signing the LOI with the Bruins. Three days ago Jeff Ulbrich signed a contract with the NFL’s Atlanta Falcons. It isn’t uncommon for coaches to leave in college football; after all it is a business, right? At least its a business, as the NCAA and administrators running the show would have you believe, to them and only them. Which is why what Smith has done could be a game changer for student-athletes across the board. My rub with the system (and the NCAA behind it) is that when kids sign these LOI’s they are beholden to them; transferring schools for a better situation is out of the question for the athlete, especially if the coaches (and school’s) bottom line is at stake. After which the athlete are generally seen as “sell outs” to the program, disloyal, and not committed to the culture or their teammates. But understand and keep this in mind: 20 coaches have left their positions since signing day seven days ago. So what of the kid in Columbus, Ohio? Ann Arbor, Michigan? Coral Gables, Florida? What do they do when the coach that recruited them on a system and culture suddenly isn’t there because they left for greener pastures? If they signed their LOI the answer is pretty simple. There isn’t anything they can do. How do the colleges feel about that? Harold said he gave the news to all four finalists. “Of course, they all said that’s fine. But they were like ‘What does this mean?’ They said this has never been done before, to the best of their knowledge. It could set a precedent. They had to do some research, but they said it indeed could be done and that they’re fine with it. We’ve all figured out that the value of the scholarship isn’t an adequate enough incentive for kids who, simply put, just want to play football for the rest of their life. I’m even an advocate of removing the NCAA/University process altogether because it has been made clear that the two can’t coexist fairly for all involved. Since that isn’t the reality, the players should have the ability to move as they please if the message they were sold all of a sudden changes. What Smith’s decision has done is not only give the athlete that flexibility to change their decision, it also puts the message these coaches bring to the test and forces staffs to re-examine the way they do business. The ripple could be felt from Tuscaloosa to Piscataway, New Jersey because for those coaches antsy for a change and those programs not willing to wait, it only opens the door for schools that aren’t seen as major powers to pitch their program and philosophy as well. I applaud Smith for being in the position he is in. I hope more follow suit until a better process is in place to protect students from coaches leaving after they sign their LOI. I also hope the NCAA doesn’t implement anything that could impede others from following Smith’s lead.